If the Appropriations Committee succeeds in stripping the fee diversion provisions from the patent reform bill, then it’s doubtful the bill will ever pass; the patent reform bill without the fee diversion provisions could possibly do more harm than good, anyway. Hindsight, what about a registration system, but with mandatory examination via a request that can be filed by anyone? In other words, one can obtain a patent, but its only use is as prior art until it is actually examined, which could occur at any time during the 20years from filing? Aka the people who aren’t re tarded? Oh wait, that’s right. Yech. Where were you when they told us that if we filed a non publication request and then later filed foreign that our patent application was void? That was a draconian remedy to a very small problem, but it was effective. There are no violators, are there? With references submitted without the proper explanation, there is the more “humane” alternative of simply tossing them into the ashcan and letting the applicant know of the toss. 2. The PTO can still “require” diclosure of materials it considers material but the Fed. Cir. does not; but you agree that there can be no penalty. Do I have you logic down just right? So, I open a ballpark. The law says admissions to ballparks are $1. My sign says $2. If people pay $1, they get a ticket and may enter. Everyone pays $1. So, what is the point of the sign except to confuse, and to bilk the gullable out of a dollar? Ned: I was referring to a switch to a registration only system, not your rule 56 changes. Pure registration is the 3rd best way to deal with the IC v. PA dump truck problem. No required disclosure at all is the second best way. At least that harmonizes US with TRW. Best way is to restrict presumption of validity of the patent to just those references provided by applicant. Limit applicant to, say, 50 free references and then charge for additional with an upper limit. No PTO searching. An applicant who wants anything more than a trophy patent will do a deep search and give the PTO the best he can find. It is the fear that a re-examination or the courts will invalidate his patent as anticipated or obvious that motivates the applicant to do a thorough search and cough up what he can find. No, this is not registration. The application is examined against whatever art the applicant provides. Still tryin’ to teach that pig to sing . . . So, the applicant screws up, and loses his patent rights, which allows his competitors to come in and steal his invention. The examiner screws up, and gives up 1/365 or so of his salary. But, only if the applicant can afford to appeal. Doesn’t sound very even handed or fair to me. How about, instead, that the examiner loses a finger or a toe every time they screw up and issue a bogus rejection. As for increasing the costs of RCEs, how about some reciprocity there too. Currently, you amend the claims to get around prior art, and you get an automatic Final. The applicant isn’t the one changing horses in mid-stream. So, here is my idea – the examiner may get 2 counts for the first series of actions, 1.5 for the second, 1 for the third, .5 for the fourth, and none after that (the USPTO has apparently made a start here, just needs to complete it). He can give first office finals after that, but receives no counts. Then, he might have an incentive to call up applicants and make suggestions, or make them in regards to dependent claims, etc. Instead of milking applications as long as he can. I love the examiners who can, directly or let me know why claims are too broad, but I might have something here or there. Rare, but very much appreciated. My point is that increasing the costs for applicants ignores the incentives for the examiners to come to a mutually acceptable resolution. Or, at least to try. But-but-but, that’s the only thing Malcolm is good at. I can see why someone who believes in government as the solution to all problems might believe that government agencies can be run efficiently and effectively. But, there is little evidence to support this proposition, outside of wishful thinking. Ask yourself, what incentives are there to make a government agency either effective or efficient? I am mostly talking at the department, agency, branch, etc. level, and not the individual level. There rarely are, and when there are, they are mostly swamped by the disincentives. One of the biggest incentives is to grow the bureaucracy, thus giving all those who grow with it, a chance for more responsibility, and thus, more pay and power. And, this really means in many cases, running things more inefficiently, not more so. Oh, and did you see yesterday, that the Department of Education, which doesn’t apparently hire any teachers, has a SWAT team, which broke down the wrong door looking for a student loan scofflaw? Yes, there are a lot of people who do not believe that government agencies can be run efficiently and effectively. Calling them names isn’t going to change any minds or win any debates. What “duty?” A duty imposed by law or by rule or by fear? If you contend it is a duty imposed by law, I beg to differ. The duty of the law is not to file or prosecute claims one knows are unpatentalbe over the art. One’s duty is to not ever allow claims he KNOWS to be unpatentable to issue. IF he submits art, it is a representation that he does not KNOW that the art makes his claims unpatentable. If this is not in fact true, then he has lied and he has as well violated his fundamental duty. The bottom line is clear. There is NO LEGAL DUTY to submit art that one does not KNOW will render his claims unpatentable. The PTO cannot impose a lesser “duty” (such as by requiring information IMPORTANT to an examiner of ordinary skill in his profession) by regulation according to Therasense. It can ask politely for information, that’s all. Any “impoliteness” by the applicant in not feeding the requested information to the PTO cannot result in any sanctions imposed by law or else the rule would be substantive. This is not true. One should not mistake the lack of penalty for the lack of authority. Remember, the Office does have this authority – the Therasense case did not remove the authority. This is actually one instance that I would like to see IANAE post, as he had a post that explained this type of situation that I cannot quite remember – something about a right without a remedy. As for your comment of “that act should be deemed an admission that the claims are unpatentable over the reference” – TOO MUCH. I find this offensive and would fight such a movement with every fiber of my being – much like Dr. Tafas already successfully has. Please stop posting this – I believe that you have made your point, as I have made the correct counter-point, and neither of us will convince the other (or anyone left undecided) to move from their beliefs – if actual case law will not. Am I to read into your post for the wry humor of legal realism? If we are to believe Dennis’s post of a while back on how examiners’ actually treat IDS submissions (in direct relation to your “probably won’t read it“), I believe that your post merely represents the status quo. As I have already commented – this postion still leaves no one truly happy. There is, in my opinion, only one truly viable path to take. There is only one most efficient path – that of pure registration only. Inexpensive. Quick. Only those less than 1% who want to actually spend the time and money in court still can fully do so. Again, only the naysayers and those that say “We’ve tried that before” – but fail to recognize the fundamental changes in context and dynamics have provided any type of pushback to this idea. I have yet to see an intelligent reply. Hindsight: The only duty imposed by law is to disclose art the applicant KNOWS will render his claims unpatentable. The PTO has no authority to REQUIRE more. It might ask for more, but they should do so politely. However, we need to put a stop to the flood of the irrelevant. We need a positive rule of non disclosure. We need exceptions. If a reference is submitted without explanation as to why the claims are patentable over the reference that act should be deemed an admission that the claims are unpatentable over the reference. The Examiner should reject the claims over the admitted prior art and not permit the applicant to respond due to the violation of the rule. Let’s keep the discussion on the other thread. Rules 97-99 will be have to revised or eliminated too. Let’s focus on 56 first. I’ll copy a post that I made from the Therasense thread, then reply separtely to your post. However, the rule permits the applicant the option to rebut the presumption on submission. There is no vice in that. So Crimes are committed against me in Massachusetts. The only possible illegal connection is a Lawyer that claims he is retired there, data 6/11/11. We tried that already. It sucked even harder than our current system. I hope that in your excitement over your thinking about rule 56 that you realize that the Office really only has two choices in regards to having applicants submit information. This is a binary decision, explicitly because any middle point that requires evaluation towards patentability by the appliant would require action on the part of the applicant that the Office simply cannot mandate (as posted now several times). The Office can ask for information but just cannot ask the applicant to determine relative patentability. I hope you understand that is why the rules 97-99 are written as they are, and how rules 97-99 are indeed intertwined with rule 56. While Therasense may have neutered rule 56 going forward, the intertwined relationship still has not been disengaged because even though the maximum penalty has been eliminated, a duty still exists. So, as I have suggested, you have two end choices, and one step in between. That in between step is to eliminate ALL submissions. Applicants will continue to flood the office with cumulative debris because the reason they do so today has nothing to do with rule 56. The Federal Circuit said that one of its primary purposes is to stop the flood. Its decision in Therasense alone cannot accomplish this mission. If the patent office wants to cooperate in the effort to save itself, and to save us, it needs to implement a rule of nondisclosure. As I posted on the Therasense thread, if the idea is to force applicants not to disclose, would it not be simpler (and avoid any legal issues) to just eliminate the rule? Oh, is that because they guillotine trolls? The whole idea is to force applicants to not disclose any art. Also, I agree with Babble Boy … ultimately we need a patent court. I was surprised and impressed by this article explaining the French patent litigation process. On the surface, it seems much better than our own. If there is a duty not to disclose, would anything be disclosed? The IDS rules currently allow a statement of we-do-not-think-this-is-material that evades estoppel effects. ANy rule you come up with preserve this or your rule will be a no-go. I think Here we go again on the other thread that I just posted on does have a point about the legal questions involved in making the applicant actually examine art and detail the why the application should be patentable above that art – that is the factor that drove the EDS program to be called the death strike, that is the factor that drove the animus from the patent bar. It is a total killer and will never happen. I doubt that there is any accpetable level of savings with that move that would appease the masses. To me it would be far easier to simply scrap the entire examination system than to force applicants to commit the hari kari of not-disclosing-unless. I am afraid that your new rule 56 would be DOA and rather than a middle step, would be a step off of the cliff into oblivion. A better idea and cheaper for all concerned: A registration only system. Called it –hysterical all-caps frothing and everything. Good times. Not sufficiently productive. Yet when the PTO tried to improve productivity by discouraging submarine tactics and dump truck claiming, some folks cried in their cheerios and got an injunction. In the spirit of compromise, let’s cut the examination time per application to 50% of its current level. In exchange, the first action will be final if any claim is properly rejected as anticipated by art that the examiner finds. The application will be abandoned if any claim is properly rejected as anticipated by art submitted in an IDS. To give an appearance of accountability, if an appeal body finds that the claim was not actually anticipated, the examiner will lose a day of annual leave. Repeated errors will result in the examiner being sent to the farm team in Detroit (if that ever materializes). While on rant I may as well also propose exponential fees for continuations (e.g., the filing fee for the Nth continuation could be something like $1000 x 2^N). Alternatively, maybe a dawdling fee for fourth or subsequent continuations, to the tune of $50 for every month that has elapsed since the filing date to which continuity benefit is claimed. Bad idea. We really benefit from courts of general jurisdiction handling patent cases. The judges have broad experience in the law, not just in patent law. This is important. We can see this when a case goes from the Fed. Cir. to the Supreme Court. The latter court is devoid of patent law agendas, but does have a good understanding of policy issues when presented. In contrast, the Federal Circuit seems rife with judges on one crusade or another. I expect we would see the same if we had specialized patent courts. Compared to any entity in which there was any penalty for sub-standard performance or downright failure, or any entity which existed in a competitive environment. At some point, “knocking down the same old strawmen”, as some are so fond of saying, becomes boring–but I suppose it needs to be done to counter the self-serving invective constantly spewed forth by the public sector. e.g. the unwarranted extension of the content to the proposition that “all government except the military is bad”, whatever that means. Stop swallowing the poison, it is killing all of us, even those union hacks who are currently experiencing a concentration of wealth. I sense another hysterical IBP meltdown incoming. Maybe try something a bit more objective. There’s entire blogs devoted to whining about the failure of government agencies to meet one’s approval. Their mostly populated by racist dxpshxts from the suburbs but that shouldn’t matter to you. What’s important is the whining and the strict adherence to the “all government except the military is bad and must be downsized” ideology. A man once told me this has to do with “Demarcation.” And he was exactly right! And for all of you that don’t know this is not about an Examiners mistake at all. I recommend that all the people here who complain about examiners and how they are overpaid, sign up to work for the PTO. I for one won’t – I wouldn’t want to take a pay cut and have everyone complain about my work. Perhaps if we either gave examiners more time per application and gave raises for quality (not quantity) things would get better. I guess this won’t be happening with this Congress–cut, cut, cut everything no matter what, no matter what effect it will have. Compared to how the agency should be with the funding it already does receive…? the problem is that it is NOT SUFFICIENTLY PRODUCTIVE, DUE TO INEFFICIENCY AND INEFFECTIVENESS. is made, the contrary position must be stated with equal, if not greater, vigor. The USPTO is NOT “underfunded”. The USPTO is MORE THAN ADEQUATELY FUNDED–the problem is that it is NOT SUFFICIENTLY PRODUCTIVE, DUE TO INEFFICIENCY AND INEFFECTIVENESS. The tinfoil on the hat is the perfect touch, really. They’re really trying to end patents in America, huh? *Unless of course congress did something drastic like let applicants add dependent claims after allowance. Well, NAL is hugely in favor of it, so there is at least a 50/50 chance. The False Marking statute is not unconsitutional. See Marvin v. Trout 199 U.S. 212 (1905) link to supreme.justia.com Moreover, it matters not that Congress acts independent of the Presiden’s responsibility. The Amy Warwick (The Prize Cases) 67 U.S. (2 Black)635(1862). This case makes clear that the President and his officers are not sovreigns; rather, Congress in the sovreign in this Consitutional Republic. This makes sense considering that Congress has the power to impeach the President, Judges and Federal Officers. Congress cannot be impeached. It is entirely possible and Constitutional that Congress could continually impeach any person who seeks to function as the President of the United States of America and run the country by committee. It is a scary thought, I agree. However, it is entirely possible. I think that we have all been sold a bill of goods in law school concerning the three branches of the Federal Government being equal. I don’t think that is the case. I think that Congress is supreme, at least according to the Prize Cases. Now those in power who enjoy sending your hard earn money to foreign banks and dispossessing you of your home will disagree. Afterall they require an imperial presidency to continue to suppress your rights and steal your property. You see this is why there is so much animus against qui tam actions, because it allows the masses to operate as the executive branch of government. It operates as a challenge to those who like to use the Executive branch of government to steal your property. However, that is not what the forefathers envisioned and that is made clear by The Prize Cases. Perhaps now you understand why the Second Amendment was made applicable to the state and local governments in McDonald v. Chicago 561 U.S. ___, 130 S.Ct. 3020 (2010). 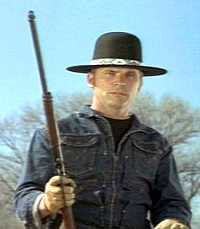 There is a liine in the movie Billy Jack that I think is applicable here. When the law doesn’t follow the law . . . all you are left with is a struggle for survival. Mistakenly left off the IPBC press release is my appearance. I’m not speaking, but I’ll be there. It’s news. Really. What Congress needs to do is set up a completely separate patent/tm court, similar to BR courts. Specially trained judges, and its own bar that has to either be registered w/ PTO or pass its own exam to be qualified to represent parties. Appeals from the IP court should go straight to CAFC, and not to the DC. This idea is coming closer, but you don’t need a decade to see what needs to be done. What if no judge wants the case?